USWE, the Swedish brand known for the their No Dancing Monkey system for MX and MTB riders have moved into the Trail Running market for 17/18. Hot off the back of launching their Vertical 4 pack earlier this year, they introduce 2 further options for winter 17. Running pack for a full day in the trails; Vertical™ 10 makes sure you can bring all of the gear and hydration you need. 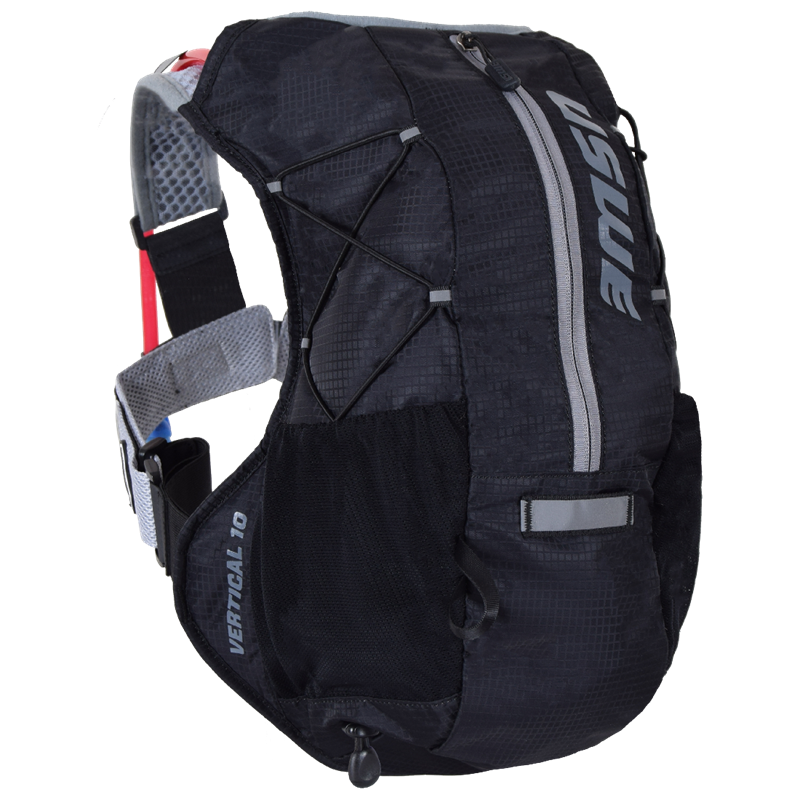 It comes with a 1.5L Shape-Shift™ bladder, high-ventilated mesh NDM™ harness for optimal ventilation, pole attachment system and quick stash pockets.